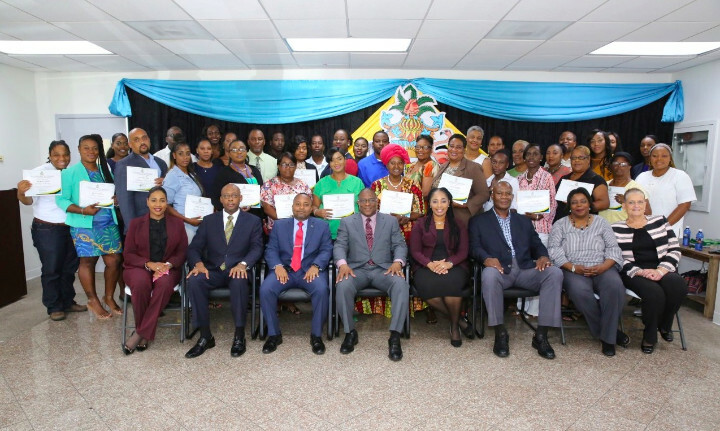 FREEPORT, Grand Bahama - Forty-one participants of the Grand Bahama Micro and Small Business Economic Empowerment and Entrepreneurial Incentive Programme Cohort III were awarded their grants during a press conference at the Office of the Prime Minister on Thursday, September 6, 2018. Minister of State for Grand Bahama in the Office of the Prime Minister, Senator the Hon. Kwasi Thompson said that the government has a created a Small Business Development Centre which will start in New Providence, but will also have an office in Grand Bahama in the Office of the Prime Minister. 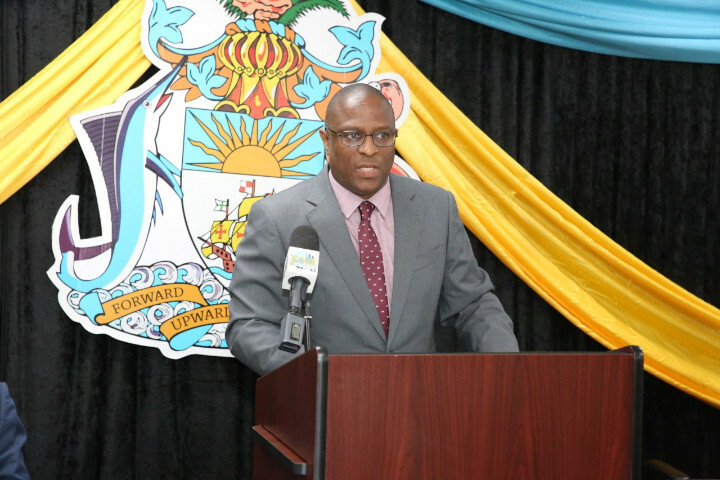 While the government will use $5 million to assist small businesses throughout the country, he said, in Grand Bahama $200,000 has already been issued. Additionally, the participants in Cohort III will receive $180,000. Minister of Agriculture and Marine Resources, the Hon. Michael Pintard who was Minister of Youth, Sports and Culture when the programme began, announced the Self Starter Grant Winners. 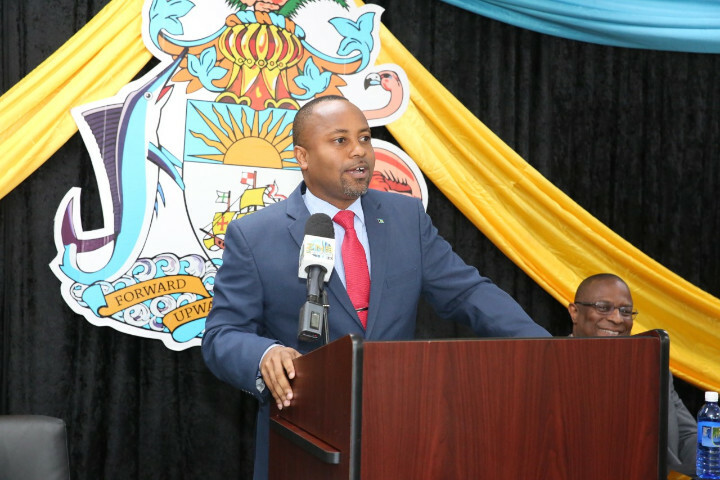 Before doing so, he said the programme was designed to fill certain gaps as an effort is being made by the government to revitalize not only the economy of Grand Bahama, but the country as a whole. Minister Pintard thanked the lecturers and organizers who have participated in the programme. The programme also provides mentors for the recipients to assist with their businesses. Partnering with the government in this venture are the Grand Bahama Chamber of Commerce and the Grand Bahama Port Authority. The Self Starter Grant Winners have a wide variety of businesses including: education, event planning, photography, craft stores, clothing stores, tourism and transportation, bakeries, entertainment and fishing. The recipients are: Glenise Rolle, Study Hall; Rosetta Grant, Exquisite Celebrations; Bruce Russell, H.Y.P.P.E. Photo Booths; Beverley Gray, Devine Crafts; Aniska Strachan, Cute Lil Tingz; Latisha Pratt, Gifted Creations; Cassandra Jones-Moss, Land, Sand & Sea Tours; Wartisha Hepburn, Heavenly Treats and Sweets; Delcina McIntosh, Cina’s Creation; Sarafina Robinson, STEAM Enrichment Centre; Velta Gibson, Blessed Creations; Olivia Collie, Cakes by Collie; Carolyn Russell-Sands, Carolyn’s Catering; Akeem Bevans, Unruly Star Records; Felicia Cleare, Island Prawn Farming; Carmel McIntosh, MacAttack Bar & Grill; Egia Collie, TLC Administrative Services; Curlene Bain, FastCrafts Fast Ferry & Water Taxi Services; and Shiud Bodie, Showtime Sound and Productions. The Business Evolution Grant Winners -- those already in business and want to expand, are: Alvareze Braynen, Infused 242; Veronica Ellis, Empress Palace; Linda Burrows, Linda’s Authentic Bahamian Craft; Doriean Cooper, Health Sprints Community Pharmacy and Drugstore; Ragene Laguere, Natural Ethics Vegan Restaurant; Ashley Gibson, Gibson’s Island Eco Tours; Chastity Burrows-Capron, Island Designs by Chastity; Lisa Davis, Total Media Bahamas; Krista Bailey, Maintenance Generals; Tasman Sutherland, HUGE Impact Marketing; Norwood Davis, Evergreen Grocers Variety Store; Natasha Burnett, Wellness Within Day Spa; Kenwitt Adderley, Shea’s Kitchen; Ena Cooper, Ena’s Straw Market; Domneshia Charlton, Nailed It Supplies; Olive Ellis-Rahming, Olive’s Souveniers; Virginia Russell-Rolle, Trinity’s Fashion; Sylvia Major, Sylvia’s Souvenirs; and Garnell Frith, Dollar Deals.